The refillable ink cartridges for Epson C40 are made similar to original cartridges; however they have auto-reset chips which allow adding ink in each cartridge again and again, up to several hundreds of times. The refillable ink cartridges for Epson SX130 are made similar to original cartridges; however they have auto-reset chips which allow adding ink in each cartridge again and again, up to several hundreds of times. The refillable ink cartridges for Epson Photo P59 are made similar to original cartridges; however they have auto-reset chips which allow adding ink in each cartridge again and again, up to several hundreds of times. The refillable ink cartridges for Epson Photo P50 are made similar to original cartridges; however they have auto-reset chips which allow adding ink in each cartridge again and again, up to several hundreds of times. The refillable ink cartridges for Epson BX635FWD are made similar to original cartridges; however they have auto-reset chips which allow adding ink in each cartridge again and again, up to several hundreds of times. The refillable ink cartridges for Epson Workforce WF-7015 are made similar to original cartridges; however they have auto-reset chips which allow adding ink in each cartridge again and again, up to several hundreds of times. The refillable ink cartridges for Epson WF-7515 are made similar to original cartridges; however they have auto-reset chips which allow adding ink in each cartridge again and again, up to several hundreds of times. The refillable ink cartridges for Epson SX445 are made similar to original cartridges; however they have auto-reset chips which allow adding ink in each cartridge again and again, up to several hundreds of times. The refillable ink cartridges for Epson Stylus SX435W are made similar to original cartridges; however they have auto-reset chips which allow adding ink in each cartridge again and again, up to several hundreds of times. The refillable ink cartridges for Epson WP-4535DWF are made similar to original cartridges; however they have auto-reset chips which allow adding ink in each cartridge again and again, up to several hundreds of times. 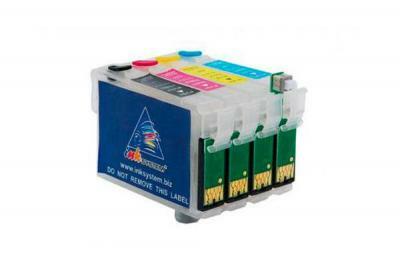 Refillable EPSON cartridges provide economic printing with printers and All in one of this manufacturer. Refillable cartridge is a handy and cheap alternative to original consumables. The main difference between compatible EPSON cartridges and original ones is that a refillable cartridge can be used for hundreds times, while an original one has to be thrown away as soon as it's run out of ink. Usage of refillable ink cartridges effects in sufficient savings even if the volume of printing is relatively small. Do you print seldom and little? You can buy EPSON cartridges on our site and save your own budget. 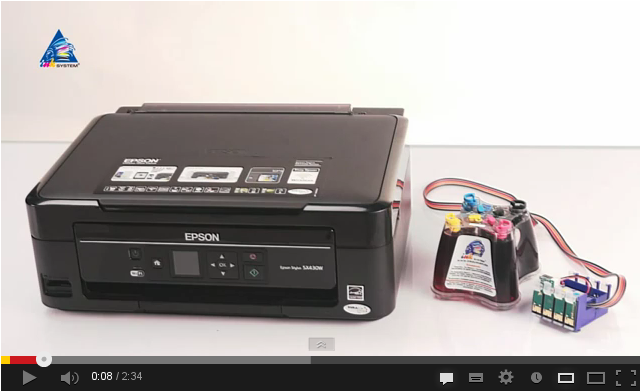 You wonder how refillable EPSON cartridges or Epson CISS help to save money? Well, you just don't have to throw away the cartridge, which has run out of ink. You may simply fill a compatible EPSON cartridge with ink and continue working. It's convenient, simply and economic, isn't it? 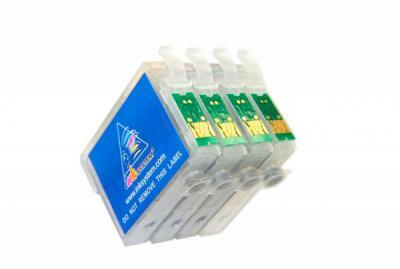 Moreover, buying EPSON cartridges you don't have to worry about the quality of printing. Photocopies and text documents are as clean and sharp as while printing via original consumables. The main thing here is to fill refillable EPSON cartridges with proper ink of high quality. So, you may buy cartridges EPSON and save on materials without detriment to quality. Compatible EPSON cartridges as well as HP ink cartridges may be refillable with ink for hundreds times. You may add ink as often as you need. Such possibility is provided by nullification of chips of refillable EPSON cartridges. These chips can be resetor nullificated from time to time. Such sort of chips is the main difference between the constructions of original cartridges and compatible EPSON cartridges. Thanks to them a user gets an opportunity to save. Really, you can buy EPSON cartridges, print via them without the loss of quality, and if they've run out of ink вЂ“ just refill them, reset chips and continue printing without large spending. 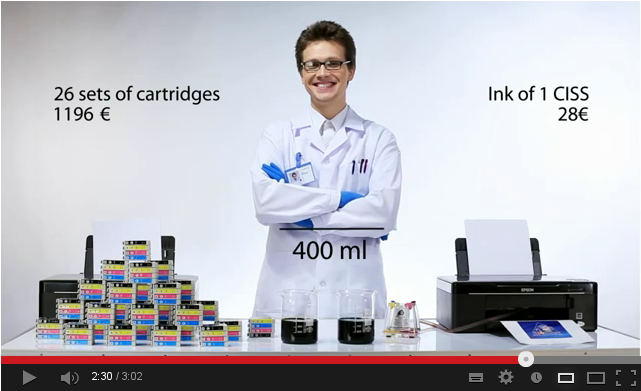 Thanks to Refillable EPSON cartridges you will forget about high cost price of ink printing. Refillable EPSON cartridges for plotter Epson help to save not only money, but time also. Just imagine how much time you have to waste trying to find new original cartridges. Not little, even is the store is near your home. As for EPSON cartridges, it's enough to buy them only once. All you'll have to do then is to refill them with ink. And ink can be bought at any time and at any place. It'll take just a couple of minutes to refill EPSON cartridges. Save your time - raise the productivity. Ink EPSON cartridges, as well as Canon cartridges, are absolutely safe for printing devices. The construction of a Refillable cartridge is analogous to the construction of an original cartridge. Nullifying chips of Refillable EPSON cartridges provide a stable work of a printer or All in one. For all this the quality of printing is the same, while the savings on printing is remarkable. 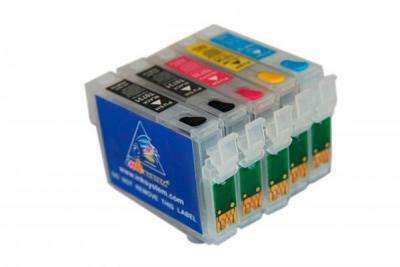 Compatible EPSON cartridges correspond a real alternative to original ones. In this section you can find refillable cartridges which are compatible with the majority of models of printing devices by this manufacturer. 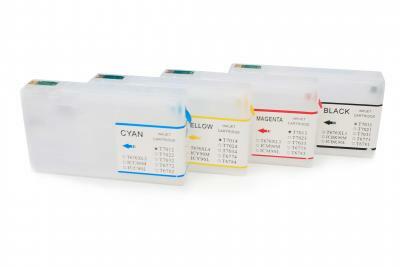 The refillable EPSON cartridges presented are 100 percent compatible with printers and All in one. You may learn what exactly model of original cartridge is substituted with this or that set from the page, dedicated to this model. 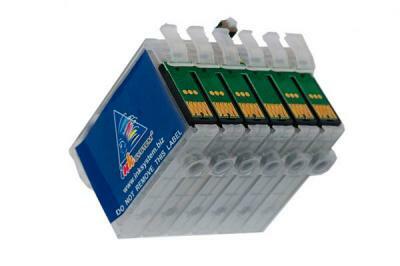 You may buy EPSON cartridges and refillable cartridge Canon in our online store. To make a purchase, you are just to choose a set needed and then press the button "buy" at the page of this model. After you've made an order for Refillable EPSON cartridges, our managers will contact you by phone. They will specify the method of payment and delivery of your buying. In addition to the Refillable cartridges you will get warranty service coupon, which gives the right for a free after-sales service. The guarantee period for Refillable EPSON cartridges is one year. You may buy the production presented not only on the internet, but at a usual off-line store as well. One can obtain ink EPSON cartridges at a regional representative office of INKSYSTEM company. Make a profitable investment into the printing.